I know the title of this post will make some people instantly protective. God’s not a God of confusion, they’ll say. How could you take something as clear as the Bible and get confused by that? A few reasons: God may not be a God of confusion, but how we talk about Him often leaves me confused. And the Bible isn’t really all that clear, if we’re being honest. It’s things like clarity and certainty that help people with anxiety, that give us a sense of peace and purpose in a crazy world. But the Christianity most of us follow do little to assuage those of us who think a lot and think deeply. The reality is that the Christianity that’s real, the Christianity that’s true, allows us freedom to follow God mostly on our terms, in our environments and personalities and likes and dislikes. Of course, that does not give us license to sin willy nilly. But I’ve found out more about following Jesus when I learn it myself in my circumstances and my reality instead of following someone else’s prescribed rules. Being saved? Believe in Jesus and confess it. That’s it. There’s no list of stipulations we have to meet to be a Christian except for those things. Well, if I am spending time “in the word,” whatever that means, how much is enough? How do I know if I’ve met the requirement to satisfy whatever your desire is? Five minutes? Two pages of journal notes? If I am praying, how much is enough? Five minutes? Two pages of journal notes? Inevitably, I’m going to fall short. And in so much of modern Christianity, we define “how Christian we are” by how our actions seem to reflect our faith. While there is biblical basis for that understanding — James 2:17 states that “faith by itself, if it does not have works, is dead” — there is no standard given. There’s no specific guidelines. So giving out specific guidelines, while it may be helpful, and implying that faithfulness is measured by a certain level of “obedience” is not biblical, and leads to more anxiety and confusion. A list of stipulations shows us we will always fall short, and when we define our Christianity by our actions, we will always fall short of feeling that we’re a Christian. The Bible never defines our Christianity by our actions. James says that Abraham’s “faith was completed by his works” (2:22). Our actions are the out-working of our faith and being a Christian, not the essence of it. The second key to finding this freedom is understanding what the Bible is. Other than the Ten Commandments and the Mosaic law, there is no list of rules in the Bible that tells people how to live their lives. Even if there was, the Bible wasn’t written directly for us. It was written for a different people in a different time. That doesn’t make it useless. In fact, the Bible is stock full of wisdom and guidance that we would do well to heed. But we need to understand that the Bible was not designed as a checklist of rule-keeping. It’s a bunch of letters, histories, prophecies, poetry, songs and advice. But there’s tons and tons of wisdom in there, in both the Old and New Testaments. And most of all, we have the Word of God, Jesus Christ (John 1:1). That Word “became flesh and dwelt among us” (1:14). “For the law was given through Moses; grace and truth came through Jesus Christ” (1:17). The modern church has a long history of making the Bible a list of rules, but it’s conveniently left some things out. For instance, women are allowed to speak in church despite Paul’s instruction in 1 Timothy 2:11-12, and it seems that a woman not covering her head while praying is disgraceful and dishonoring according to 1 Corinthians 11:4-6. Since the Bible is not a list of rules, or even “God’s letter to us” — because it’s made up of letters to people from people — we’re freed to read it as it is and gain the wisdom and guidance we need to live as God’s people. The third key to finding this freedom is understanding who Jesus is. As already stated, the Bible says that Jesus is the “Word of God” (John 1:1), and is the “founder and perfecter of our faith” (Hebrews 12:2). But most importantly, a relationship with him looks like rest. He says it Himself in Matthew 1:28-30. That’s the words of God, in the person of Jesus. There seems to be some clarification here that when we come to Jesus, we don’t get a list of rules or a standard to uphold. We get rest. Taking his yoke upon us, it seems, leads to rest. It leads to learning. If we’re not getting that from following Jesus, we’re not following Jesus. We’re following some picture of Jesus that has been created by ourselves or the “Christian culture” around us. The Bible has been a part of my life as long as I can remember. I don’t know how many I’ve owned over the years, but I feel that I’ve always perceived it one way: it’s God’s word, given to us from heaven, good for everything that we can ever come across. Of course, that general view has been slightly altered at different times, but it’s generally been that way. However, in recent months, I’ve begun asking some questions about the Bible that I never asked before, and honestly, was afraid to ask. Is all of it really from God? Should we trust every single word? Are there errors? Are some of the instructions and commandments morally or spiritually wrong? It’s in that backdrop that I read Pete Enns’ “How the Bible Actually Works: In Which I Explain How an Ancient, Ambiguous, and Diverse book Leads Us to Wisdom Rather than Answers — and Why That’s Great News.” It’s available worldwide later this month, and you can read more about it here. I’ll cover how I view it as a piece of literature — because I’m a writer, I have to do that — and then I’ll tackle the theological points posited. Enns is a professor of biblical studies at Eastern University in Pennsylvania and host of the podcast “The Bible for Normal People.” His background includes Old Testament interpretation and a doctorate in Near Eastern Languages and Civilizations from Harvard, and it shows, but in a way that’s digestable. You might think a book that covers deep theological topics and translation issues might be difficult to read, and that would be perfectly understandable. I bet there are few Christian books that really cover those issues in the way that Enns does. He uses comparisons to his mailman, the New York Yankees and parenthood to get across his points, making the subject matter relatable and accessible. Enns also employs humor quite well most of the time, making even the footnotes worth the read for whatever fun fact might be found. 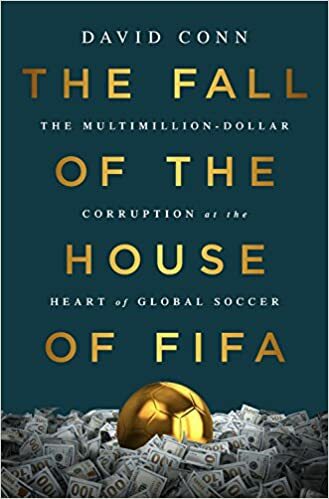 Enns flows from topic to topic fairly seamlessly, and it’s a fairly enjoyable read, but I do have one qualm with his writing. He often uses the word “reimagining” when it should be a different word, like “re-imaging,” that might get across his point better. And that brings us into the theological part of this review. Enns’ point is best summed up this way: each book of the Bible was written to fit the culture in which it was written and is best used as a guide for wisdom, not a step-by-step instruction manual that provides a how-to for being a Christian. When processed, that thought might be difficult for many Protestant Christians. After all, the Bible has been taught to us as God’s word, given to us, completely inspired and inerrant, perfect and completely applicable to us now. To take a different tact than that is in and of itself bold, but Enns’ argument is worth a listen. Enns argues that the Bible is ancient, ambiguous and diverse, which means that we can’t take each and every command and directive and make it mean the same today as it did when it was written. He says that the Bible itself and the Jewish and Christian traditions that follow it have had the adaptive approach of what God was seen to be, a “reimagining” of who God is. In the end, Enns says, that’s what his book and the Bible itself is about, seeing who God is through the lens of the author and their experiences and the culture around them. After all, we all do it. “God is relentlessly reimagined all around us,” he writes. “American Christians have imagined God as feminist, environmentalist, capitalist, refugee, soldier, Republican, Democrat, socialist, and on and on. Some portraits of God I agree with more than others (and let the debates begin), but the act of reimagining God in ways that reflect our time in place is self-evident, unavoidable, and necessary” (157). Enns cites seeming contradictions in the Bible as examples of that, not the least of which is a couple Christians today take for granted. The Old Testament seems to describe the coming Messiah as a new king of Israel that will rule over its enemies and provide a land for them. The New Testament re-images that Messiah as Jesus Christ, the self-proclaimed Son of God whose kingdom is not of earth, but of a different realm (John 18:36). The Old Testament commands that followers of Yahweh make animal sacrifices and men to be circumcised. In the New Testament, Paul re-images what God asks of His followers by saying we need to be circumcised of heart and that the sacrifice of animals was replaced by the eternal and sealing sacrifice of Jesus (just read all of Hebrews). The practical outworking of some of these contradictions Enns presents, which he acknowledges, is that God is not the direct word-for-work speaker of these passages. It is the authors utilizing their wisdom, which the Bible provides, to re-image God for the time they live in. Side note: Enns uses the term “reimagine,” which I feel doesn’t accurately capture his point. “Reimagine” almost intimates creating something new, while “re-imaging” means developing a new understanding of. I feel “re-imaging” is more to his point, but that’s just a small quarrel I have. Anyway, this becomes a challenge for the evangelical reader that might pick up this book. Enns has been criticized in the past for his perspectives on the Bible, particularly his hint toward a lack of God-direct inspiration. And I can understand the criticisms. Some of his arguments in How the Bible Actually Works seem a bit stretched to cover the Bible as a whole while they may only just apply to that one passage. And he consistently says something the effect of “and there are many more examples” without providing a list or passages to go to. Perhaps this is an academic’s attempt to make his thoughts accessible to a common audience, and I don’t blame him for trying. Something else that will also lose some audience is a failure to handle the verse most Christians go to, 2 Timothy 3:16, as the basis for their interpretation of Scripture. I firmly believe that Enns doesn’t have the same perspective of the Bible as many people I know or those I grew up around. But I do believe his perspective can fit in or even go with most of what evangelical Christianity believes. We generally believe that each book of the Bible needs to be read in the context of who wrote it, where it was written, when it was written, etc. So we don’t apply each of the Old Testament laws, but try to glean wisdom from them as necessary. We also try often to understand what God or Jesus would say or think about a certain issue. We do it every time we answer a “why” question about a piece of Scripture that doesn’t have an obvious answer. Why does Paul say this, or why does David imply that? I don’t think evangelical Christians need to completely dismiss Enns’ view out of hand. 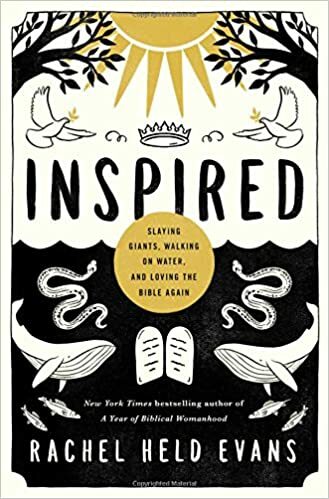 I think you can believe the tale of Jonah is a fictional account meant to encourage Israelites to accept outsiders and realize God cares for Gentiles, as Enns suggests, and still inspired by God. *Note: I received a free copy of the book from HarperOne as part of the book’s launch team. Thanks for that and for the encouragement of those who were part of the team, who encouraged me more than they know. Social Media Drives Me Bonkers. But I’m Sticking with It. And I Think You Should Too. As I perused Facebook and Twitter today, I got sick. I think I ate too much beef. Franklin Graham and Lady Gaga. Cardi B — I’m still not entirely sure who that is — and people who say her latest music video undermines the #MeToo movement. No female directors getting Oscar nominations. Taraji P. Henson making some comparison that got people all upset. There’s so much bad blood and people disagreeing over things and people mad at each other, politicians, musicians, actors, athletes. You name it, somebody’s mad at it. And all that madness and dispute and hatred festers on social media. I think it does that for a few reasons. There are millions of people on social media, so it’s where the world interacts with one another. Social media allows people to voice their opinions, however well thought out or flawed. There’s also little oversight or moderation, so we often get to see the worst in others. Today, I seriously considered quitting Facebook and Twitter. Honestly. I’ve thought about it hundreds of times, but it was fleeting thoughts. I don’t think I’m addicted to the outrage. I hope I’m not, at least. But I didn’t quit. For practical reasons, I have to use Facebook and Twitter for my employment as a reporter, but there’s one other major reason, and it goes back to why I got Facebook in the first place. I almost completely missed MySpace — I had a page for about 90 days, then my parents made me delete it. I did get it kind of secretly, so maybe I deserved it. I got on Facebook and Twitter during my freshman year of high school, 2007. So I spent the entirety of my high school and college years, save a few months, hooked into the machine. I used Facebook first. It became the platform for my day-to-day activities, random comments on Carolina Hurricanes games and eventually the venue for me to post links to my fledgling blog, which mostly featured movie reviews. I analyzed my classmates’ comments on what was obviously their romantic relationships and misjudged people’s statements to me. It was the Internet, after all. It’s the haven for misunderstandings. Twitter became the place to follow bands and athletes to see what they were up to, to keep up with sports news and highlights and find out when the latest track was coming out. As I got further and further into my studies of journalism, I learned that Twitter was a tool for sharing news in real-time and live-tweeting from sports games, much to the annoyance of at least one college friend. I graduated from college and, a couple years later, found myself utilizing social media in my most recent job, as a newspaper reporter in my hometown. On my professional account, I would tweet often the latest news and highlights from local government meetings while keeping up with the news of the day, local, state and national. On my personal account, I would keep up with my favorite sports teams, authors and musicians, just like before. I’d occasionally post comments about Arsenal Football Club, hoping against hope that one of them would go viral amongst the Gunners’ rabid social media-crazed fan base. None of them ever have, by the way. I knew those crazies existed beyond Arsenal supporters. I’d see it in response to the latest political development or social event that captured eyes and ears. But over the last few months in particular — more or less revolving around the government shutdown, funny enough — I’ve gotten sick of it. It’s obnoxious. It’s hashtags and disses, beefs and slams. It’s trying to be first and trying to be funniest. In a lot of ways, social media shows the worst of us. We often take our gut reaction and make it public in the most public way: putting it on the Internet, unfiltered for all to see. I’m just as guilty, although it’s usually about something as petty as a professional sports team. And most of the time I feel like I display enough patience. (Judge for yourself: I’m at @zacharyhorner21.) I feel like I carry that to Facebook as well. So while I know I’ve made good use of these platforms in the last 12 years, both personally and professionally, it’s so tempting to leave it all behind, to let the beefs be on buns only and not on my phone screen. But, as stated previously, I can’t for practical reasons. But because it gives me a window into the world, I need it. One of the more popular phrases in Christendom is that we’re called to be “in the world, not of it.” I think it’s been over-used and misunderstood, personally, and we get to see what it really means by looking at Paul. Paul’s ministry, as outlined in the book of Acts, is one of living, eating and speaking among the people, wherever they were. He went to the synagogues, to the temples and to the places where the intellectuals spent their time. It’s that latter one that’s my favorite. In Acts 17, Paul is hanging out in Athens and while there, “his spirit was provoked within him as he saw that the city was full of idols” (v. 16). So he begins talking to people in the synagogue and the marketplace. Verses 17-18 record that he spoke with Jews, “devout persons,” everyday people in the marketplace and Epicurean and Stoic philosophers. It’s the stark difference of his philosophy and religion that catches the eye of the intellectuals of the city, and they take him to the Areopagus, where “all the Athenians and the foreigners who lived there would spend their time in nothing except telling or hearing something new” (v. 21). What Paul says at the Areopagus is worthy of reading itself. He speaks about Jesus, relating Him to the Athenians’ daily existence and their philosophy. But I want to key in on why Paul was there in the first place. He was out and about, listening to people, seeing people, learning from others about their lives and their existence. It’s because of that experience that he’s able to relate to those who spent their time at the Areopagus. I love this so much because Paul tells us the key to his evangelism, and thus gives us an important piece of advice at winning the world to Christ. And for me, a reason to stay on social media. “Fake news” is everywhere. It’s in the media, it’s in the halls of politics, it’s in the corporate board rooms, the church sanctuaries. Yes, the church sanctuaries. I’ve spent years in church, and one thing I’ve noted is that we seem to struggle at understanding why non-Christians do what they do. We care about them and we want to see them changed and following Jesus. And that’s amazing! That’s exactly what we should want. But far too often, we stop there without trying to understand their realities. When we see someone who identifies as LGBTQ, we want them to be straight without trying to learn why they became LGBTQ in the first place. When we see someone who’s left their spouse, we want them to reunite without figuring out what caused them to leave. When we see a skeptic, we want them to believe without attempting to understand their rationale for not believing. I’m not saying this is a universal thing, that all Christians and all churches are like this, but I believe that if we as the body of Christ adopted this method, we’d be able to shed the “fake news” we assume about the world and try to understand where people are really coming from. We assume people LGBTQ rights because they don’t believe in Jesus. We assume people leave their spouse because they’re sinful and lazy. We assume people are skeptical because they hate Jesus and God. While there might be some truths in there, it’s often more complicated than that. The LGBTQ people I’ve known have given differing reasons for their lifestyle choice, and it’s often not simple. I think of the recent controversy over the kids from the Catholic school and the protestors at the recent March for Life. I’m not going to weigh in on that controversy here, but in that scenario, we learned that it’s much better to wait, to understand what actually happened, where people were actually coming from, before assessing the situation and rendering a judgment. So many people, myself included, grew judgmental and critical of those in the situation before hearing the full story. In the same way, we need to listen to others and understand their lives, their realities before creating one for them and approaching them based on what we’ve imposed on them ourselves. That’s what Paul did. He spent time in Athens, talked to people and then rendered his perspective and brought it back to the Gospel. A word about “echo chambers”: Paul didn’t live in one. He spent a lot of time with Christians, yes, but he clearly took the time to understand viewpoints he didn’t share. We should, ideally, do the same. In the same way, we should stay on our social media platforms and exist on them each day long enough just to get a snapshot of reality, to see what the culture is like, what it’s doing and what it cares about. Of course, some of us should set boundaries about how long we spend, what we do on that social media, etc. That’s not what this post is about, but I wanted to re-affirm good boundaries and limits because social media, like most things, can become addicting. Trust me, I know what I’m talking about. Odds are, you found this because I posted a link to it on social media. Social media can serve a great purpose. We can use it to share about what God is doing in our lives, interact with fans of our favorite sports teams for fun conversations, showcase photos of our meals and new pets and, in some cases, express our opinion on a difficult or controversial topic. It’s up to you, of course, how much you share. But if you’re on social media now, I encourage you to stick with it. You never know what you’ll learn, and you’ll never know what you learn will mean down the road. I Read 2 John in 5 Minutes. Here’s 3 Takeaways. I read 2 John this morning. It was pretty easy. I mean, it’s only 13 verses, five of them are greetings and goodbyes. But while I read it, I came across three things that challenged me today, that inspired me and made me think. First of all, the whole “walking in” phrase related to Christianity is an under-evaluated piece of Christianese. That’s for another post, I think. Secondly, what a great thing for this to be said of the “elect lady” that is the recipient of this letter! Of course, as I look this up and do a bit of research, and apparently some say the “elect lady” is symbolic of the church. But the whole text doesn’t bear that out. Anyway, for a mother in the church to be singled out by an apostle of Jesus for the faithful obedience of her children, that’s huge. I love two things about this. First, there’s John’s encouragement. He takes the time to compliment this mother by acknowledging her children as being obedient to the commands of God. It’s a slight call for all of us in the church to be more adamant about encouraging our brothers and sisters in Christ. Second: Isn’t that what we all want for our kids? I don’t have kids yet, but when I read that this morning, I was so challenged. I want my kids to be “walking in the truth.” I want my kids to be following Jesus so closely that everything they do is shaped by what God has called us to. Loving others means, among other things: telling the truth and not lying, providing hospitality, listening to other’s issues, praying for others in need. It means we do that for anyone and everyone, and that is the sign we are believers in Jesus. That is the sign of love. And, as John writes later, “whoever abides in the teaching has both the Father and the Son” (v. 9b). That’s what I want. If anyone comes to you and does not bring this teaching, do not receive him into your house or give him any greetings, for whoever greets him takes part in his wicked words. I think this interpretation is a practical outworking of the common thought that goes something like this: If you don’t actively oppose, in word or deed, something or someone bad, you are implicitly endorsing it. I think that’s simplifying it a little bit. I think there are a lot of things I’m against, but I don’t have the time and resources to dedicate to all of them. Not being active in it by using a hashtag or attending a rally doesn’t mean you don’t care. It just means you have better things to do. Not that that’s always true per se, but I think it’s important we make that distinction. A side note: I’m not just talking about the “social justice warrior” crowd here who say that. I’m talking also about the “evangelicals” who participate in it as well. Anyway, I hope John’s intent here was to be hospitable to people and to be kind, but not to endorse false teaching or wish well those who preach that on their preaching. I don’t know if it was his intent, but I hope that was it. If it was, that’s awesome. We should be hospitable to and welcoming of those with whom we disagree. We should be kind. We should be loving. But loving doesn’t mean endorsing something we believe is wrong or wishing someone well on their mission. So I read more books in 2018 than I’ve read in a year in a long time. Maybe it’s due to my wife, who devours book, or maybe I’ve just decided to educate myself more than I wanted to in the past. For whatever reason, here I am, with the 12 books I read in 2018, briefly reviewing them and then ranking them. I’ll give a little description for books 1-3 on the list. I don’t agree with everything Rachel Held Evans says — but I don’t agree with everything anybody says. However, I feel that Evans’ exploration and journey with the Bible in this book is worth reading because it caused me to ask some serious questions about my faith and grew it. Evans wrestles with seeming contradictions both in the Bible itself and how Christian culture seems to say one thing and believe another. I found myself in her shoes very often — wondering how in the world we call the Bible inerrant but ignoring passages on how women dress, yet still saying it’s all literally true. I think the Bible is still the Word of God, most of it at least. Some of it is just man trying to figure out how to live in a way that honors God — look at the psalms and some of the words of Isaiah, Jeremiah, even Paul. That doesn’t mean, as she concludes, that it’s useless or worthless. We just need a fresh lens to look at it the way it was meant to be read. While he was on television on a regular basis, Jon Stewart was, for my money, one of the best observers of the political and media landscape. You can disagree with his political viewpoint, which he wasn’t afraid to be honest about, but his war on hypocrisy and media laziness was fun to watch for a journalist like myself who abhores both of those things. This book includes input from Stewart and many of the stars that came from The Daily Show — Steve Carell, Stephen Colbert, Ed Helms, Samantha Bee and more — about the making of the show and the years Stewart was its figurehead. It doesn’t shy away from the tough times, including Stewart’s tiff with correspondent Wyatt Cenac and the early years of middling success. 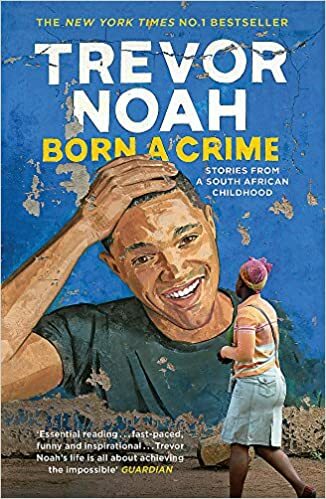 Mainly, it’s a book about people trying to be funny talking about politics and government, and it’s a good one if you’re into that kind of thing. I really enjoyed watching the FX series of the same name — “The People v. O.J. Simpson” — because of the performances, the drama, the intrigue. I was less than three years old when Nicole Brown Simpson and Ron Goldman were murdered, so I was not aware of the media circus and the craze that accompanied Simpson’s charges and later acquittal. Toobin’s on-the-ground reporting and research plays out throughout this narrative that does read like a true crime thriller. 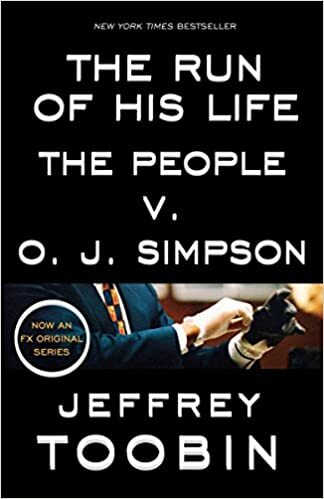 You get to know the characters – Simpson, Johnnie Cochran, Marcia Clark, Christopher Darden and Robert Shapiro among them. Toobin’s take definitely has a legal edge to it, as he’s very critical of Clark & Darden’s approach to the prosecution. To be fair, they did lose the case handily. This is a must-read for anyone interested in the true crime genre, although you start the book knowing the ending. It was the best book I read this year, and I fully recommend it to whoever out there is a reader.